Having a good understanding of your competition is important for any business owner, and that holds true for everyone in the healthcare industry as well. Whether you have a long-running medical practice which has been in operation for several decades, or whether you have a fairly new practice in a particular location, it’s still very important to know exactly what the strengths and weaknesses are of other medical facilities in your area. Fortunately, this has been made much easier today by the wealth of analytics and data which is available online, for the purpose of identifying trends and patterns in user behaviors and business behaviors. With even a small investment of time and effort, you should be able to find out about how your competitors are positioning themselves in the market, what services they provide to the community, and how they are marketing themselves to potential patients. On the flip side of this coin, you can also find out what kinds of mistakes your competitors are making, so that you can avoid falling into the same kinds of traps which they have. 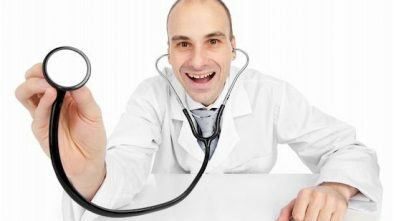 It’s even a good idea to find out what patients are saying about your competitors through their customer testimonials because all this information can help you make better decisions about the services you provide in your own practice, and how you market yourself to new and existing patients. In addition to the benefits mentioned above, there are some other important advantages provided by maintaining a continuous assessment of what your rivals are up to, and what their position is in the marketplace. First of all, you can get a much better understanding of the business and personal character of the catchment area, which consists of that geographical area supplying the majority of your patients. You should also gain a much better understanding of how you can target patients, and how you can craft marketing initiatives which specifically appeal to the type of patients you’re trying to reach. Analytics will help you to forecast the potential for generating new business and reaching new patients across your entire catchment area. The really good research will help you to identify how local economic and political activities are affecting your particular medical specialty, and whether they have any serious impact on your catchment area. Finally, you should be able to garner a clear understanding of everything your competitors are offering, and whether or not there is overlap with your own collection of services. 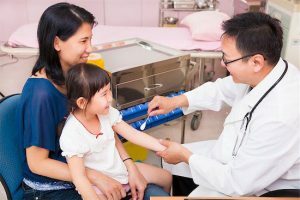 When you’ve collected all possible data, you can formulate a marketing strategy which positions your practice as a unique healthcare organization, and which will point out to you which of your own strengths should be emphasized in appealing to potential new patients. When you formulate a good marketing strategy based on the data you acquired from your competition analysis it leads to new patient acquisition. A big part of the evaluation of your competitors is grouping them strategically by their potential for competing for patients in your own catchment area. 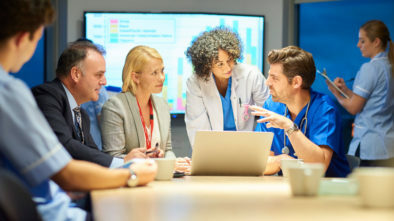 You can formalize this process by creating a list containing the name of each competitor practice, which also shows their approximate profitability, marketing initiatives, past and current strategies, patterns of growth, organizational structure, weaknesses and strengths, and the total volume of patients in the practice. After compiling this list, you should be able to answer a number of critical questions that have relevance to how well you’ll be able to compete in the same market. First of all, you will have at least identified all the competition, and which services they offer in the catchment area. You will know what kind of equipment they use to service their patients, and what strategies they have adopted for reaching out to potential new patients. Knowing what their strengths and weaknesses are will tell you how seriously they threaten your own business, as well as which potential opportunities might exist for you to exploit. It is of course, nearly impossible to have a complete and thorough understanding of what every possible competitor in your medical market area is doing, and what their precise position is in the marketplace. Having all this information available to you would require hiring a professional researcher, and having that person constantly update information which changes monthly or even weekly. While you may want to do that, and it might very well be highly advantageous to do so, it may not be practical in all situations. That being the case, you’re probably limited to the time and resources you can invest in your own research, to gain as thorough an understanding as possible about your competition. The more thoroughly you understand what the competition has to offer, the better you’ll be able to tailor your own approach to potential new customers. Managing a successful medical practice is largely based on situational awareness, and in knowing exactly what kind of services are being offered by your competitors so that you can take advantage of any gaps. Given the fact that the healthcare industry is constantly and rapidly evolving in today’s business landscape, it’s more important than ever that owners of a medical practice stay on top of all competitive developments to the greatest degree possible.